Entirely renovated and furnished in a typical 18th Century Venetian style, this 100 duplex apartment is an independent apartment occupying a small and charming building. The entrance from the street opens onto a large foyer which leads to the stairs going to the first floor, where the main rooms are located. The day area here offers a large living room with cooking corner and the sleeping area offers 2 large, sunny bedrooms, of which the first with a double bed and the second with twin beds. A third bedroom, with twin beds is on the upper level, a romantic attic with its charming environment. The bathroom, with stall shower, is located on the main floor. "The apartment was great, super location away from the busy tourist area, walking distance to all the sites as well as Piazza San Marco, Supermarket close by. The apartment had everything that we needed. Sebastiano was a great host and helped us both before and during our stay. We definitely would rent again." "We had a thoroughly enjoyable time whilst staying in this apartment in Venice. It is well furnished, warm and fully equipped. It is located in a quiet part of Venice only 10 min walk from St Mark Square. We were met by the owner at the Vaporetto stop and were given a boat ride to the apartment - what a way to arrive..We would have no problems in recommending this to anyone wanting to stay in Venice." "appartement situé dans un quartier tranquille, habité par de "vrais" vénitiens, avec de vrais petits commerces de proximité pour les achats quotidiens, on s''y sent chez soi tout de suite. Seule réserve, l''appartement ne convient pas aux enfants en bas age : escalier intérieur peu sécure." "Wonderful appartment. We were 6 people and it was perfect. 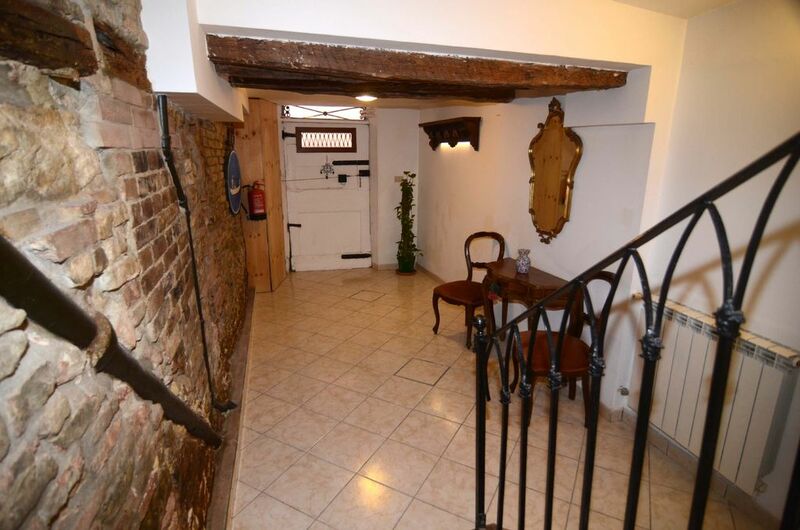 This appartment is v well located in the castello quarter (sertier). Near the vaporetto stop (51, 52, 41, 42). Sebastiano, the owner, is very synpathic, he welcomed us and explained everything about the appartment. I recommend to everybody to rent this appartment. Venise is a beautiful city." "Le logement convenait parfaitement à ce que nous attendions. Calme, bien chauffé. La chambre en soupente convient plutôt à des enfants, car le toit n''est pas très haut." Appartement spacieux, bien équipé, très propre. Le propriétaire nous a accueilli à l''arrêt du vaporetto. Il est très sympatique et a tout fait pour nous faciliter le séjour. A recommander. The apartment is well served by all sorts of stores and boutiques. The neighbourhood offers from the bakery to the butcher store to the drug store. Right by the house is a classic Venetian restaurant where one can taste ll the delights if the local cuisine.